Do you ever feel like your jar (life) is marred? If you are a part of the human race, I know you have felt that way at some point. 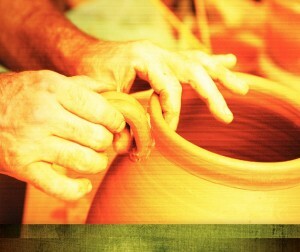 If your jar has been marred, God will give you a new one as seems good to Him, the creator. Working with people battling drugs and alcohol, we see many lives marred by the use and lifestyle of chemical addiction. There are numerous reasons why one ends up on that path, most likely their lives were already marred before becoming dependent. Whatever the reason, God as our maker and creator has the power and ability to make us new. Not only does He have the power, but He passionately desires to see us made into something good. Thank you God that we are in your hand and that you are the potter. Help us to allow you to mold us as you see best for the purpose you created us.